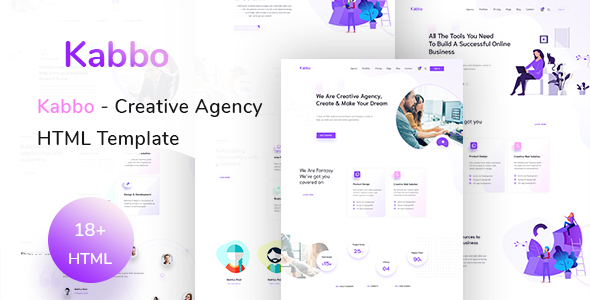 Kabbois is a beautifully designed HTML Template for Creative agency/social media agency, lead generation agency. We have sued beautiful animation to give you an awesome experience. Everything is very easy to customize and set up. The Template is based on 1170 Bootstrap based design so this Template will be 100% Fluid responsive on any device. We have tested this in iMac, Macbook Pro, iPhone X, iPad and Samsung S9.